Chi-Chuan Chen 陳啟權, M. Sc. Susan Resnick, Ph.D., Intramural Research Program, National Institute on Aging, Baltimore, MD, USA [info]. Angela Gutchess, Ph.D., Brandeis University, Waltham, MA, USA [info]. Charlene Lee, Ph.D., Graduate Institute of Linguistics, National Taiwan University, Taipei, Taiwan [info]. Pei-Yu Wang, Ph.D., Graduate Institute of Brain and Mind Sciences, College of Medicine, National Taiwan University, Taipei, Taiwan [info]. Isaac Wen-Yih Tseng, M.D., Ph.D., Center for Optoelectronic Biomedicine and Department of Radiology, College of Medicine, National Taiwan University, Taipei, Taiwan [info]. Susan Gau Shur-Fen, M.D., Ph.D., Psychiatry, College of Medicine, National Taiwan University, Taipei, Taiwan [info]. Ruey-Mei Wu, M.D., Ph.D., Department of Neurology, National Taiwan University Hospital, Taipei, Taiwan [info]. Pei-Fang Tang, Ph.D., P.T., School and Graduate Institute of Physical Therapy, College of Medicine, National Taiwan University, Taipei, Taiwan [info]. Raymond Lo, M.D., Ph.D., Neuroscience Center, Bhuddist Tzu Chi General Hospital, Hualien, Taiwan [info]. Denise Park, Ph.D., Center for Vital Longevity, University of Texas at Dallas, TX, USA [info]. Michael Chee, M.D., Cognitive Neuroscience Laboratory, Duke-NUS Graduate Medical School, Singapore [info]. 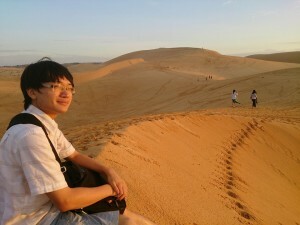 Shu-Chen Li, Ph.D., University of Technology, Dresden, Germany [info]. Chien-Te Wu, Ph. D., O. T., School and Graduate Institute of Occupational Therapy, College of Medicine, National Taiwan University, Taipei, Taiwan [info]. Li-Wei Kuo, Ph. D., Institute of Biomedical Engineering and Nanomedicine, National Health Research Institute, Taiwan [info]. Wei-Wen Chang, Ph. D., Graduate Institute of International Human Resource Development, National Taiwan Normal University, Taiwan [info]. Jeremy Chi-Chun Lee, Ph. 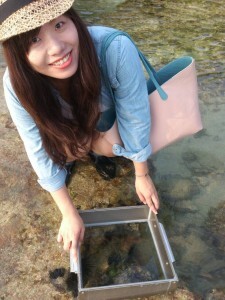 D., Electrical Engineering Department, National Tsing Hua University, Taiwan [info]. Yu-Ling Chang, Ph. D., Department of Psychology, National Taiwan University, Taiwan [info]. Tren Tsung-Ren Huang, Ph. D., Department of Psychology, National Taiwan University, Taiwan [info]. Su-Ling Yeh, Ph. D., Department of Psychology, National Taiwan University, Taiwan [info]. Arthur C. Tsai, Ph. D., Institute of Statistical Science, Academia Sinica, Taiwan [info]. Jing-Ling Li, Ph. D., Graduate Institute of Biomedical Sciences, China Medical University, Taiwan [info]. Yi-Ping Chao, Ph. D., Department of Computers Science and Information Engineering, Chang Gung University, Taiwan [info]. Gary Chon Wen Shyi, Ph. 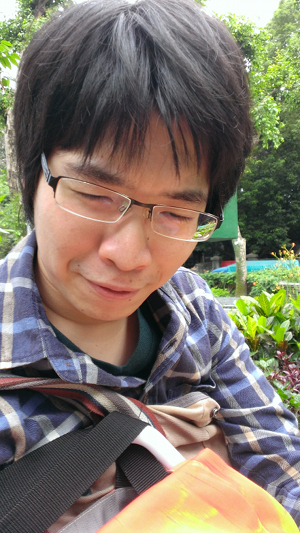 D., Department of Psychology, National Chung Cheng University, Taiwan [info]. Tina Shih-Tseng Huang, Ph. D., Department of Psychology, National Chung Cheng University, Taiwan [info]. Yu-Zhen Tu 涂玉臻, M.Sc., M.T. Tzu-Ling Tai 戴孜玲, M.Sc., P.T.